Delivery of the first Aston Martin DB 11 heralds a new era for Aston Martin enthusiasts and future owners. The DB 11 will be powered by the first forced-induction V12 engine in the company’s 103-year history. The all-new, alloy 5.2L V12 features two Mitsubishi twin-scroll turbochargers, providing more than 600hp, and torque of 700Nm at a low 1600rpm. As Aston Martin’s most powerful engine ever built, it boasts 'new everything', to cope with the massive power and torque outputs. 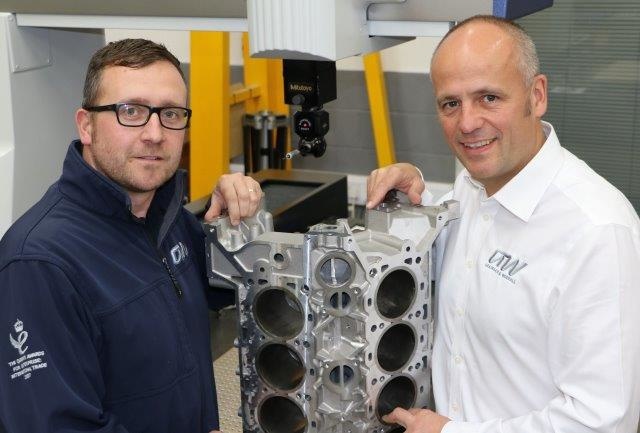 The engine, and all its component parts, was designed in-house, and Chief Engineer, Brian Fitzsimons (right), says it's the result of a design process which quietly began in 2012. More than 40,000 V12s have already been produced at the Aston Martin Engine Plant (AMEP), a standalone engine manufacturing operation located inside Ford’s giant engine operations, Ford Werke AG at Niehl, near Cologne, Germany. This plant was also the birthplace of the forerunner to the current Aston Martin V12, which was first developed by Ford in the mid 90s. In 1995 Ford Division commissioned a motor show concept car intended to showcase the company’s Indycar technologies. Designed by famed Ford designer, French-born Claude Lobo, the Indigo concept was powered by a 6.0L 60 degree V12, created by borrowing the architecture of the Yamaha-designed 3.0L V6 Durateq engine, used in the Ford Taurus SHO. Only one 430hp V12 engine was built for the single, running, Indigo prototype, however its creation became the model for Aston Martin’s modern V12, known as AM02. 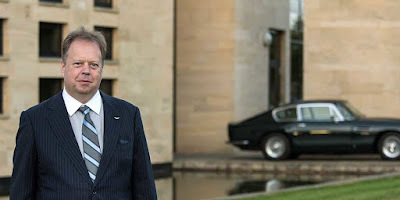 The then vice-chairman of Ford of Europe, Walter Hayes, suggested the Indigo V12 would be a perfect 'new' engine for Aston Martin, and the 'transplant' happened under Aston Martin CEO John Oldfield's management. 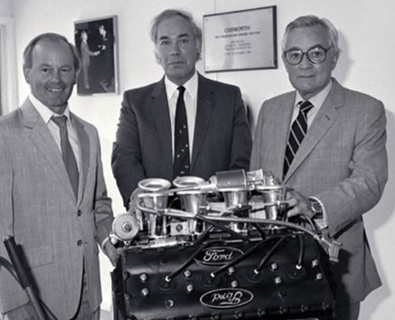 Hayes had a lot of motorsport experience as the former head of public relations for Ford of Europe, and was the driving force behind the Ford Cosworth DFV F1 engine, bringing together the talents of Mike Costin (left) and Keith Duckworth (centre). 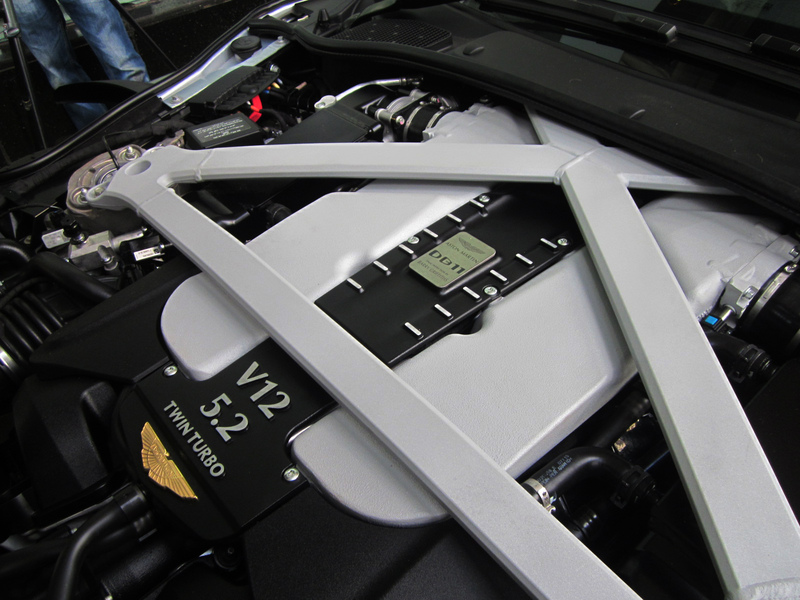 To Hayes, utilising the Indigo V12 for Aston Martin was a very logical, and cost-effective decision. One of the advantages of using an existing V6 as the basic architecture was the opportunity to carryover components like pistons, conrods, valve gear and other engine accessories. The water and oil pumps were new, due to the increase in cylinders. The V12 design of course demanded new engine blocks and cylinder heads, which were designed by Ford, and made by Cosworth Engineering (owned by Ford at the time), as well as new crankshaft and camshafts. However, the original, naturally-aspirated Aston Martin V12 (AM02) was just the beginning of the rebuilding of the marque. It was a confluence of factors, plus the strong personalities of a number of players, which created the foundations for what we now know as one of the most successful niche marques in the luxury automotive sphere. 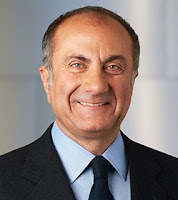 In late 1999 my friend, Jac Nasser, then CEO of Ford Motor Company, hired Ulrich Bez to lead a due diligence team to ascertain whether or not Ford should buy the troubled Daewoo Auto company. Impressed by Bez’s report and his business acumen, Nasser instead offered Bez the job of turning Aston Martin around. Hopefully it could become a money-maker for Ford, rather than just swallowing millions, and churning out small numbers of hard-to-sell niche luxury sports cars. 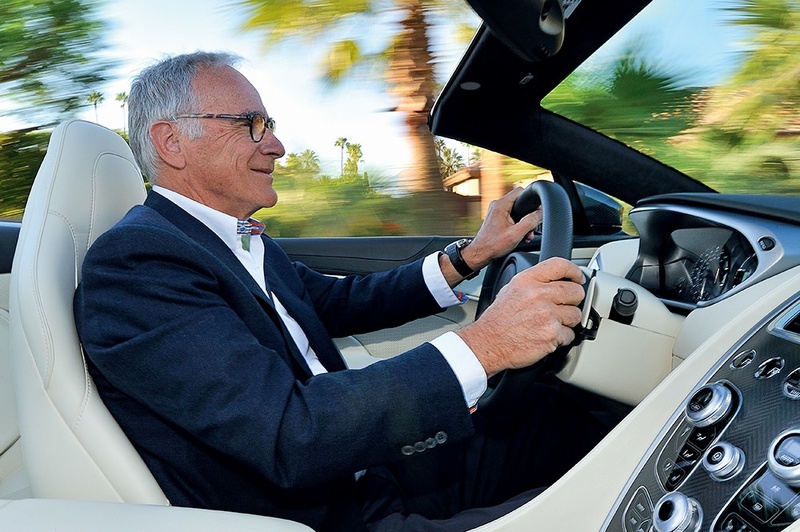 And, it was the dynamic leadership of Ulrich Bez, which changed Aston Martin's fortunes for the better. This decision, capitalising on Bez’s innate genius and experience, plus the availability of a (more-or-less) bespoke V12 engine were the ingredients needed to rebuild, rebrand and revitalize Aston Martin. 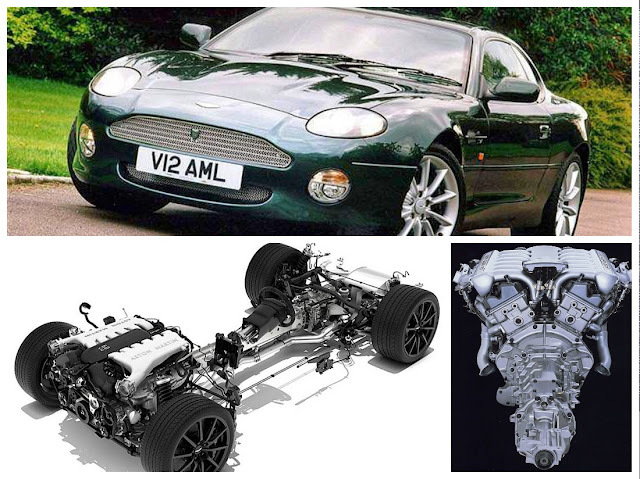 The original DB 7 Vantage V12 was a game-changer for Aston Martin. 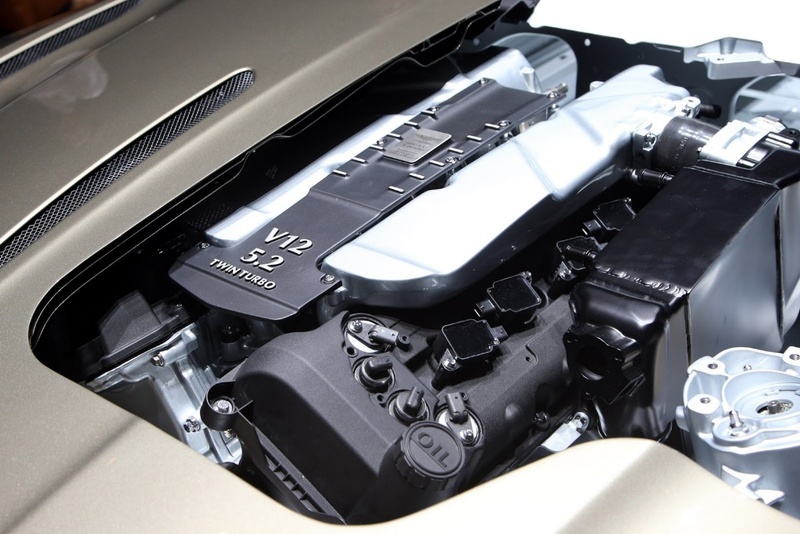 Once Aston Martin took the lead in ‘production-ising’ the Ford V12 for its own use, the tiny British company developed the engine into its own creation, and has continued to refine the design, right up until the new turbocharged version. The new engine codenamed AE31 was designed-new from the ground-up at Aston Martin’s HQ in Gaydon, and will ultimately replace the current version, AE28. 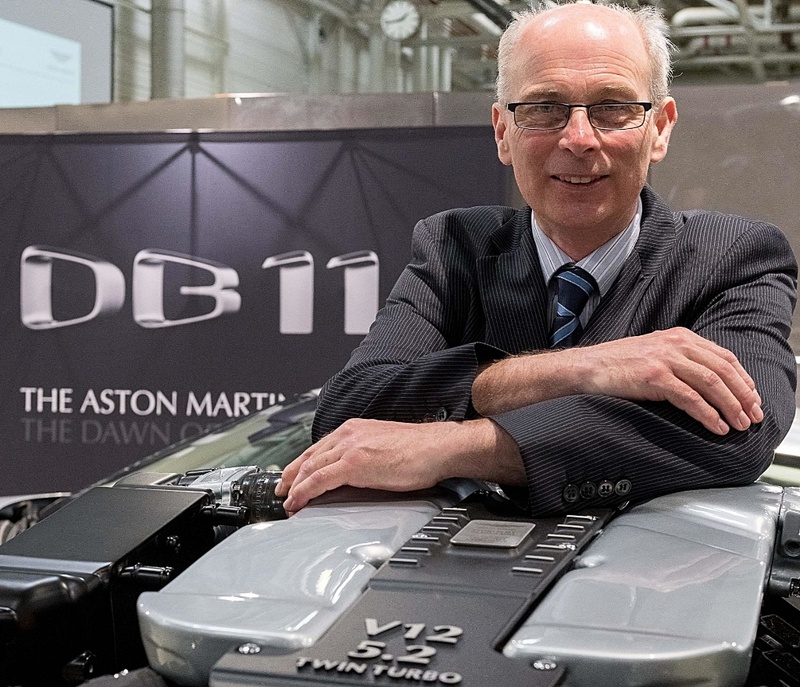 “This is job one for the next-generation of V12 engine that will be at the heart of Aston Martin’s second-century strategic plan for expansion,” said CEO Andy Palmer. 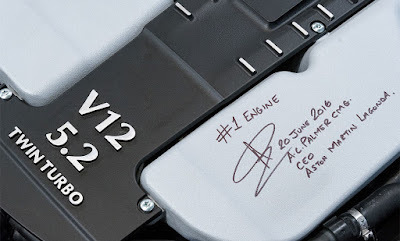 Palmer signed the engine and said that it would be fitted to the first DB11 production car, which may be retained by the factory, although an alternative plan could see it allocated to a customer. After the AE31 design started in summer 2012, work moved rapidly from a test firing in October that year, to the production green light in January 2013. The AE31 uses the same 21.5mm bore offset and 60deg vee-angle as the previous-gen 6.0-litre, to ease manufacture, but all the key components are redesigned. which are sent to Cologne for assembly. The bore is the same at 89mm – another dimension set by the manufacturing equipment – but the stroke is much shorter at 69.7mm – hence the reduction in swept capacity. Peak power is 600bhp at 6500rpm and peak torque 700Nm at 1600rpm. Fuel economy and emissions figures in the DB11 are still being finalised, but Fitzsimons is talking about 255g/km – 10g/km below the 265g/km target – with more reductions to come. The new V12 retains conventional fuel injection and not direct injection because of worries over increased particulate output with DI petrols. “We’re just not sure where legislation is going on emissions, so we have stayed away from GDi-type technology,’ said Fitzsimons. 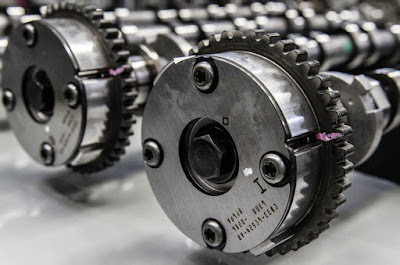 Aston Martin says three parts are carried over: the camshaft roller-rockers, the cam covers and the variable-valve timing device that alters the cam timing. “Once we began looking at turbocharging, this led to a number of components being changed; then we needed to move the positions of studs securing the cylinder heads to the block, which meant almost a complete redesign to retain the rigidity of the whole engine.” said Fitzsimons. The end result is an engine with a specific output of 115bhp per litre, which meets performance targets and emission regulations, and Aston Martin believes the engine has a life of at least 12-15 years, depending on changes to future emissions legislation. The new V12 would have been 35kg heavier than the outgoing 6.0-litre because of the addition of two twin-scroll turbos and the associated plumbing and intercooler. But the weight saving design of the block, exhaust manifold casting and crankshaft saved 20kg, leaving a net gain of only 15kg. 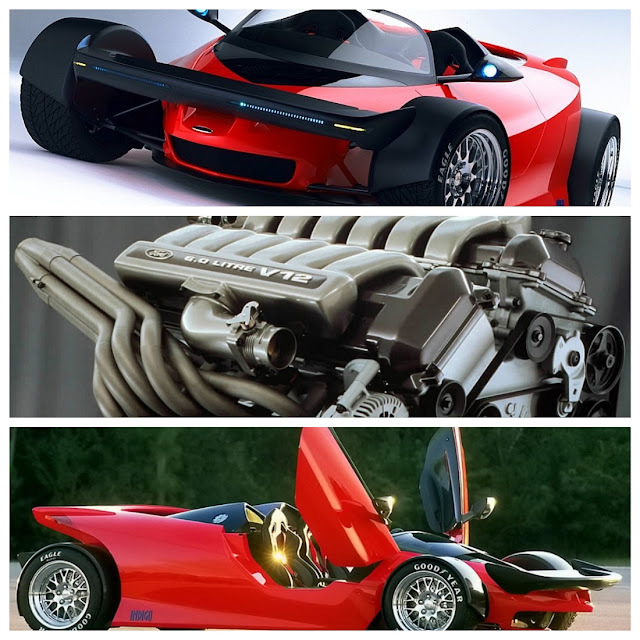 The twin-scroll approach is especially suited to a V12 because it splits the flow of high-pressure air into two distinct feeds, one to each half-bank of three cylinders, and has two features that Fitzsimons valued: an electric wastegate and the twin-scroll feed. Whilst there may be some criticism for choosing to continue with a V12 as its ‘halo’ powerplant, Aston Martin defends the decision because of the degree of exclusivity a V12 provides. There are also plans to replace the 4.7L V8 in the V8 Vantage, with a twin-turbo V8 sourced from AMG, and it’s this move to forced induction engines across the board which reveals that, like many car companies, meeting current and future emission regulations simply will not happen without turbocharging or supercharging. Aston Martin’s new DB11 and AE31 turbocharged V12 engine stand as testament to the ingenuity, determination, and innovative thinking from what is really, a tiny company. A bastion of what I think is the ‘Best of Britain’ – an ability to find creative, intelligent solutions using a small team, clever thinking, tiny budgets and against overwhelming odds. On that basis alone, Aston Martin deserves to survive, and I’m certain it will, thanks to the combined efforts of the current team.